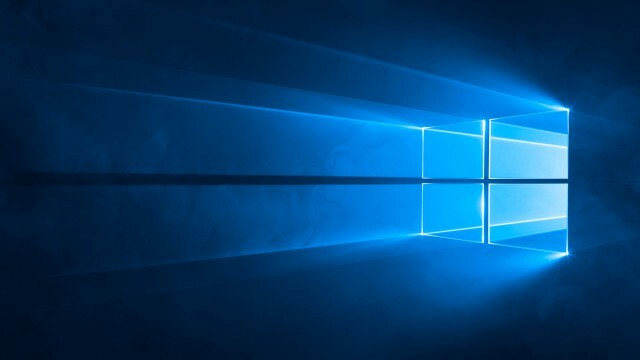 Redmond, Wash., USA - July 28, 2015 - Microsoft Corp. announced that Windows 10 will become available Wednesday as a free upgrade or with new PCs and tablets. Windows 10 includes innovations such as Cortana, an Xbox app and Microsoft Edge for a familiar, yet more personal and productive, experience. The most secure Windows ever, Windows 10 is delivered as a service and kept automatically up-to-date with innovations and security updates. Windows 10 offers one experience that will become available on the broadest range of devices, including PCs, tablets, phones, Raspberry Pi, Xbox One, HoloLens and more - with more than 2,000 devices or configurations already in testing. The new Windows Store and Windows Software Development Kit also become available Wednesday, opening the door to new and innovative app experiences on Windows 10. Windows 10 launched worldwide across 190 countries as a free upgrade or with new PCs and tablets, complete with global fan celebrations and a new #UpgradeYourWorld initiative. 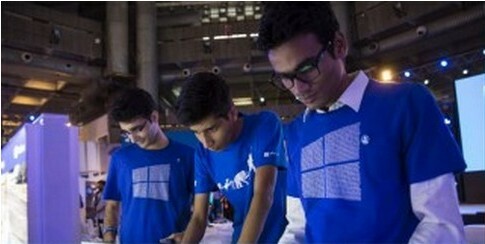 Microsoft Corp. announced that Windows 10 will become available Wednesday as a free upgrade or with new PCs and tablets. Windows 10 includes innovations such as Cortana, an Xbox app and Microsoft Edge for a familiar, yet more personal and productive, experience. Limited time free upgrade offer for qualified and genuine Windows 7 and 8/8.1 devices. Hardware and software requirements apply; see http://www.windows.com/windows10upgrade for details. 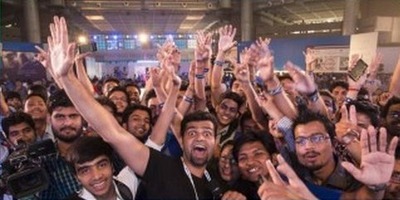 Cortana available in select markets at launch; experience may vary by region and device. 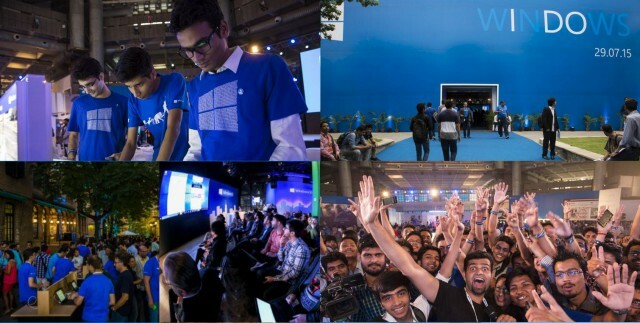 People around the world will celebrate the launch of Windows 10 Wednesday at fan celebrations in 13 countries and via a new yearlong initiative to celebrate people and organizations making a difference around the world. 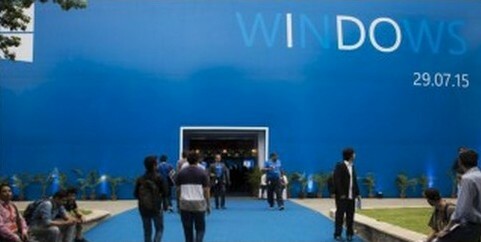 “A new era of Windows starts today. From the beginning, Windows 10 has been unique — built with feedback from over 5 million fans, delivered as a service and offered as a free upgrade,” said Terry Myerson, executive vice president, Windows and Devices Group, at Microsoft. Windows 10 is the most secure Windows Microsoft has ever released, with enhancements to Windows Defender and SmartScreen to help safeguard against viruses, malware and phishing and innovations such as Windows Hello, which offers a fast, secured, password-free way to log in. Windows 10 is more personal and productive, with voice, pen and gesture inputs for natural interaction with PCs. It’s designed to work with Office and Skype and allows you to switch between apps and stay organized with Snap and Task View. • Cortana, the personal digital assistant, makes it easy to find the right information at the right time. • New Microsoft Edge browser lets people quickly browse, read, and mark up and share the Web. • The integrated Xbox app delivers the Xbox experience to Windows 10, bringing together friends, games and accomplishments across Xbox One and Windows 10 devices. • Continuum optimizes apps and experiences beautifully across touch and desktop modes. • Built-in apps including Photos; Maps; Microsoft’s new music app, Groove; and Movies & TV offer entertainment and productivity options. With OneDrive, files can be easily shared and kept up-to-date across all devices. • A Microsoft Phone Companion app enables iPhones, Android or Windows phones to work seamlessly with Windows 10 devices. • The all new Office Mobile apps for Windows 10 tablets are available today in the Windows Store. Built for work on-the-go, the Word, Excel and PowerPoint apps offer a consistent, touch-first experience for small tablets. For digital note-taking needs, the full-featured OneNote app comes pre-installed with Windows 10. The upcoming release of the Office desktop apps (Office 2016) will offer the richest feature set for professional content creation. Designed for the precision of a keyboard and mouse, these apps will be optimized for large-screen PCs, laptops and 2-in-1 devices such as the Surface Pro. 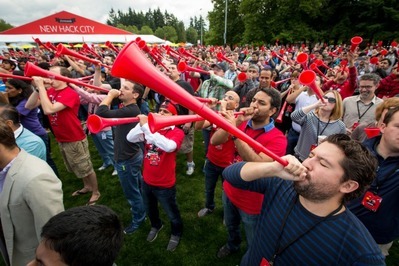 It was a big week for Microsoft employees, who came together for //oneweek, a weeklong event that sets the direction for the coming fiscal year. //oneweek included a three-day Hackathon, which began with the blare of vuvuzelas in Redmond and included more than 12,000 participants worldwide. Feedback from millions of IT pros has shaped Windows 10, the most extensively tested version of Windows ever. Ready for corporate deployments, Windows 10 will help companies protect against modern cyberattacks, deliver experiences their employees will love and enable continuous innovation with a platform that keeps companies up-to-date with the latest technology. Businesses will be able to control the frequency of their updates and select the features and functionality that are right for each group of their employees. Windows 10 includes built-in, enterprise-grade security, so customers can replace passwords with more secure options, protect corporate data and corporate identities, and run only the software they trust. New management and deployment tools simplify device management, help lower costs, and enable companies to power their business with the enterprise strength of the Microsoft Azure cloud. 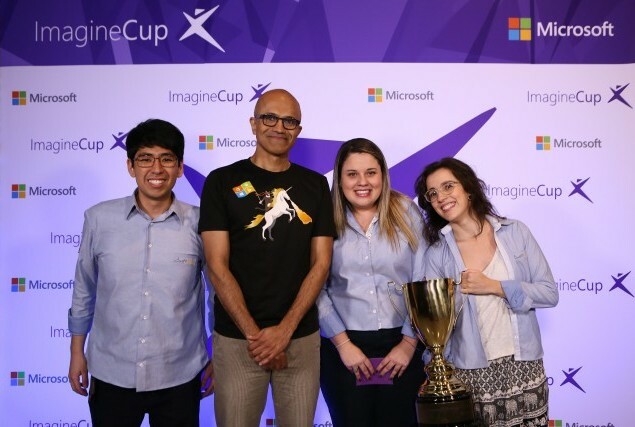 Satya Nadella crowns the 2015 Imagine Cup World Champions. The new Windows Store will open Wednesday and begin accepting new apps for Windows 10. The Windows Store offers one-stop shopping for popular free and paid apps, games, movies, TV shows and the latest music, which can work across all Windows 10 devices. The new Windows Store is the only store where people can use Cortana to control apps with their voice and get real-time notifications on their app tiles. All Windows Store content is certified by Microsoft to help keep devices safer. 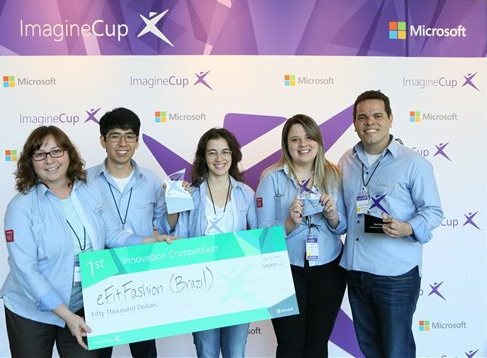 The eFitFashion team from Brazil was among three winners announced Thursday in the Microsoft Imagine Cup. In addition to existing Windows 8.1 apps such as Netflix, Flipboard, Mint.com, “Asphalt 8: Airborne” and The Weather Channel, the Windows Store provides a constant stream of new and updated Universal Windows Apps and games, including Twitter, “Minecraft: Windows 10 Edition beta,” Hulu, iHeartRadio, USA TODAY, “Candy Crush Saga” and others including WeChat and QQ, which will launch soon. Some apps and content sold separately. App and content availability and experience may vary by region and device. 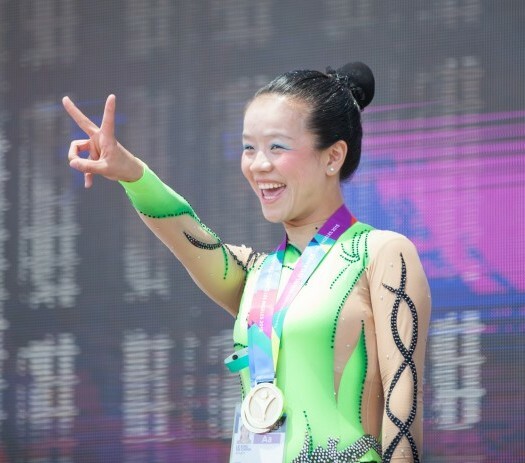 Special Olympics gymnast Xing Le won five gold medals for her performances in rhythmic gymnastics. In Los Angeles, athletes shined in the 2015 Special Olympics World Games in Los Angeles, where a partnership with Microsoft delivered a new games management system to track athletes’ personal bests. 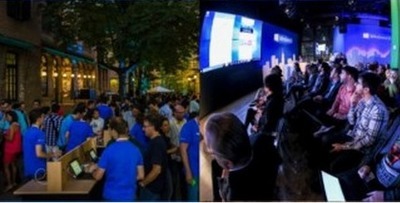 Microsoft followed four of their stories and performances. Upgrading to Windows 10 is easy for customers running a genuine Windows 7 or Windows 8.1 PC or tablet. Starting Wednesday, people who reserved their upgrade to Windows 10 will be notified in waves when their upgrade is ready to be installed. For business customers, Windows 10 is available to start deploying within their work environments, and starting Aug. 1, organizations that have volume licensing can upgrade to Windows 10 Enterprise and Windows 10 Education. Retail partners are ready to help people upgrade to Windows 10 with our largest tech bench program ever, including more than 100,000 trained retailers and tens of thousands of stores around the world. Free upgrade programs will be available Wednesday, with Windows 10 software becoming broadly available in retail stores around the world between mid-August and September. Devices running Windows 10 will be available in some retail stores on Wednesday, with many, many more devices to become available in the weeks and months ahead.